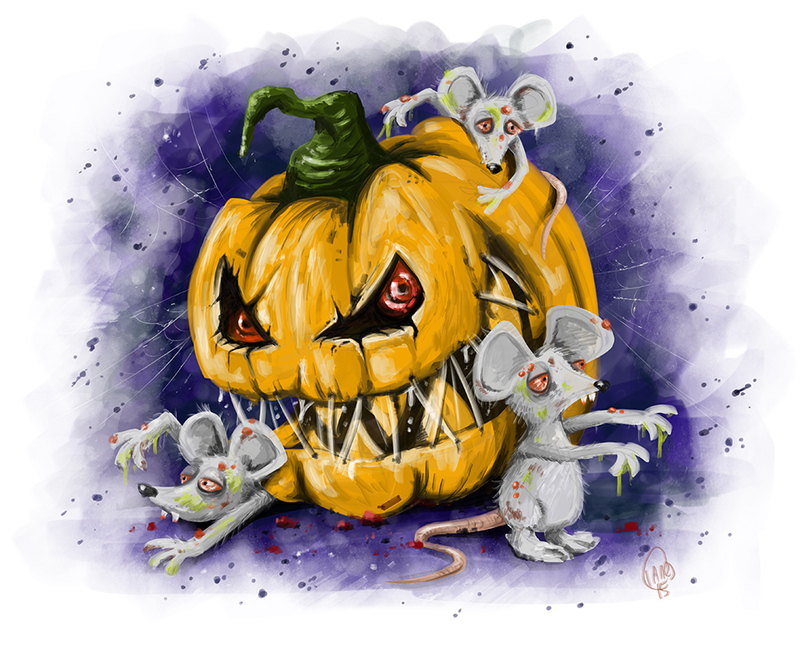 Pumpkin & The Zombie Mice | Calvin Innes Illustrator, cartoonist, artist, author, designer & school presenter. If you've looked through the rest of my portfolio you might have noticed that I quite enjoy drawing monsters, and things that are a little spooky. So, as you can imagine Halloween is always a welcome treat for me as I get to put together all kinds of macabre, scary and silly cartoons and illustrations. This is an illustration I put together while working on other project, just for a bit of fun. A couple of hours work all in... Spooky Pumpkin and the Zombie Mice.